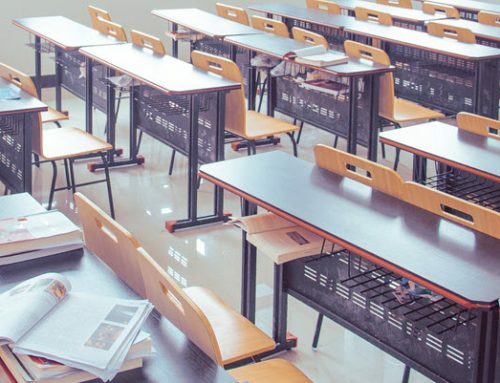 From split times to stroke rates, personal bests to world records, individual rankings to medal counts, the Olympics are a treasure trove of data just waiting to be analyzed and visualized. 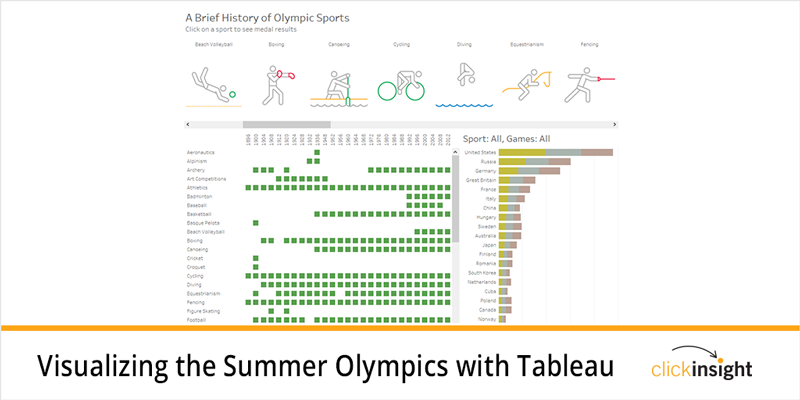 Spanning over 100 years, more than 200 countries, and over 300 events, the Summer Olympics provide endless opportunities to segment, filter, and view the data from different perspectives. 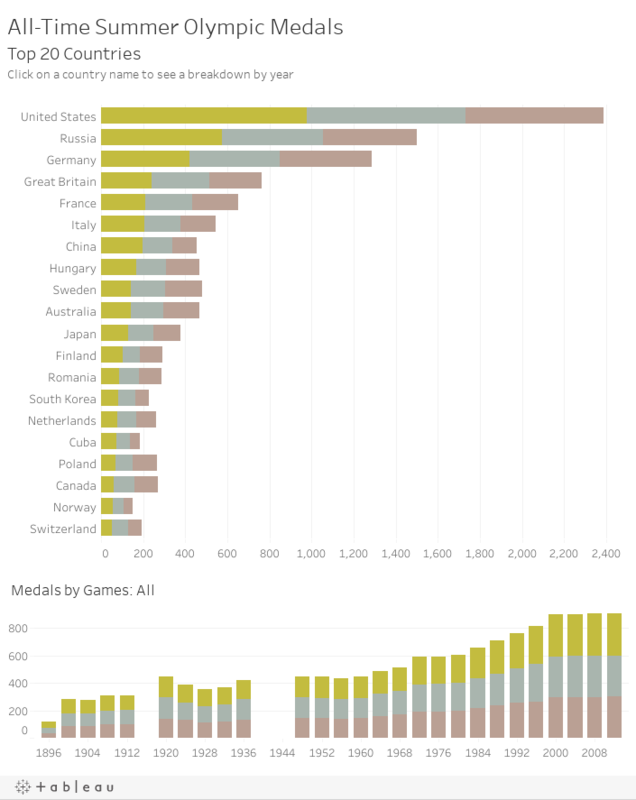 Here’s a simple interactive visualization of the top 20 medal-winning countries since the modern Olympics began in 1896. Click on the name of a particular country and the chart at the bottom will show a timeline of that country’s performance over the years. 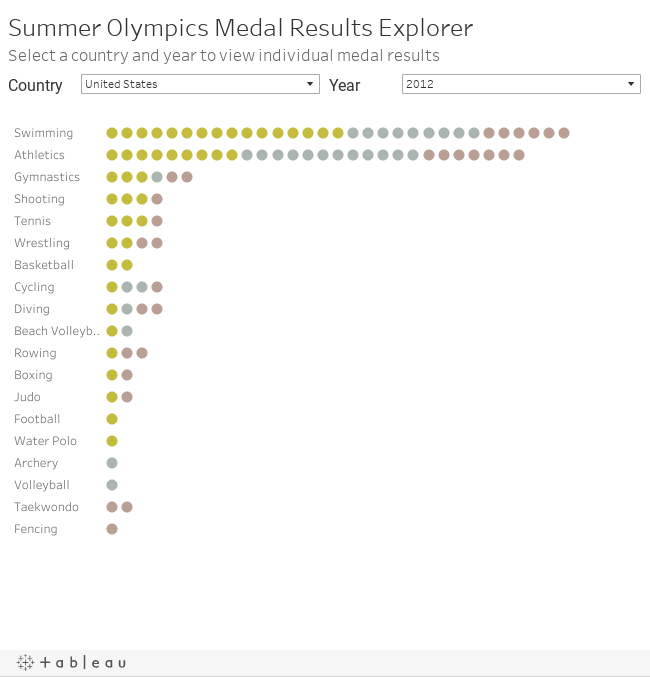 Next, here’s an explorer of every medal won since 1896. Select a country and a year to filter the results, then hover over the medals to view the respective event and medallist. 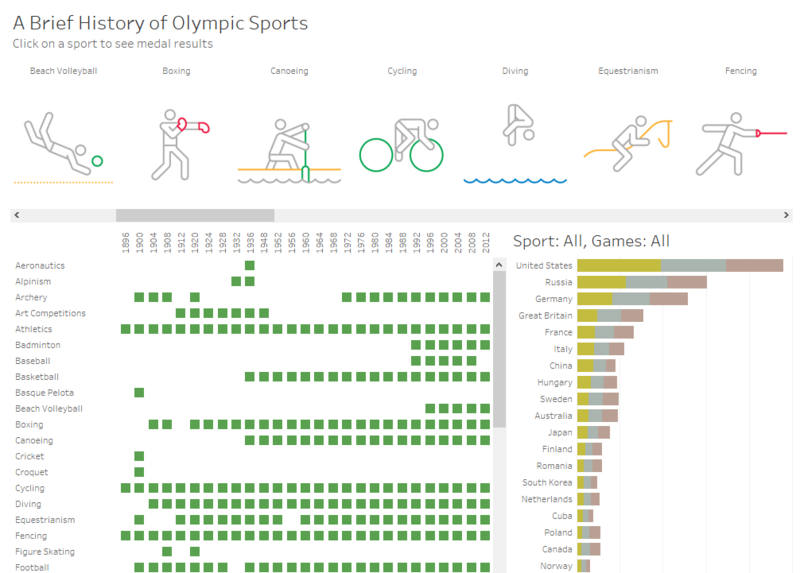 Finally, below is an interactive viz of the history of summer Olympic sports. 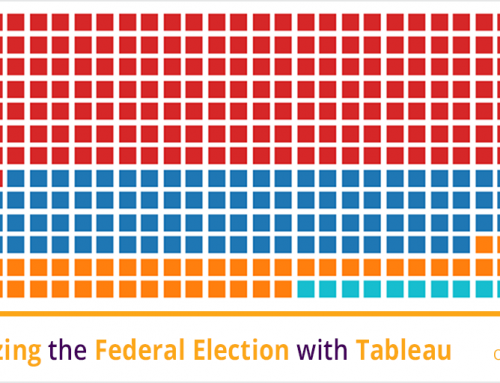 View the interactive version on Tableau Public. 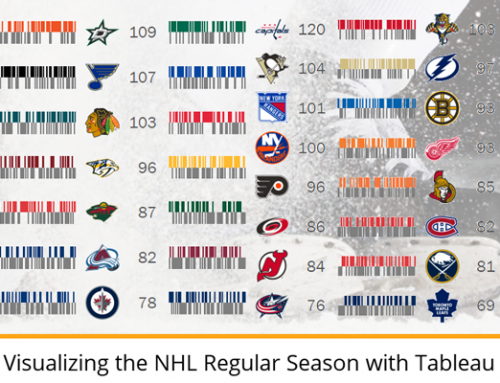 You will be able to select a sport and see the Games in which it was an active sport and the top performing countries.